Double doors are popularly known as French doors and often feature two doors put together to form one main entry. These designs are suitable for people who want to give more entry space for guest. They are also energy efficient and allow more light into the room. 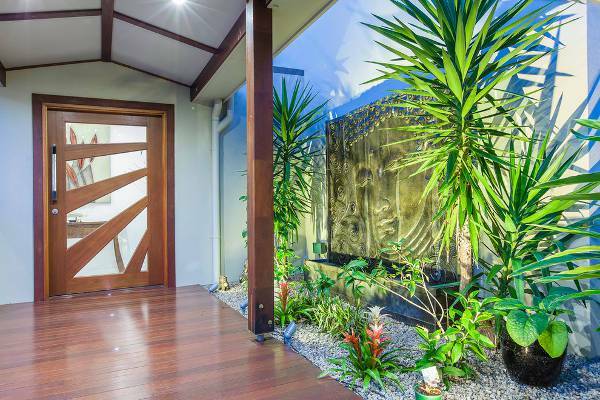 Modern front doors tend to feature a clean and sophisticated design which complements the interior décor. Simple wood panels with a silk black handle or matte black panels on a warm wood door fit the modern category. Doors with chevron designs will make your entryway enjoyable. 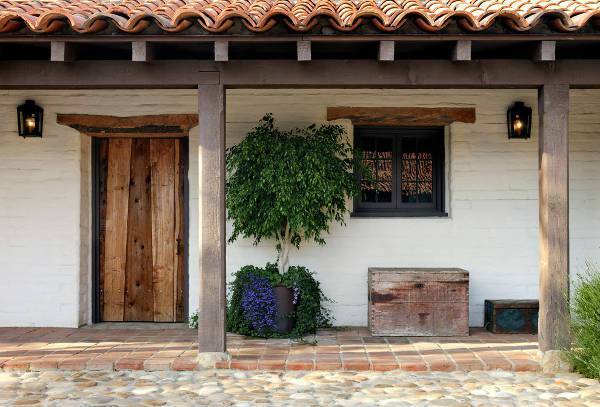 Rustic front doors are perfect for homes that depict the owner’s heritage or past eras. If you can never get yourself to throw away old items, then this door is for you. The organic texture and warmth of these door designs exude honestly and simpler times. 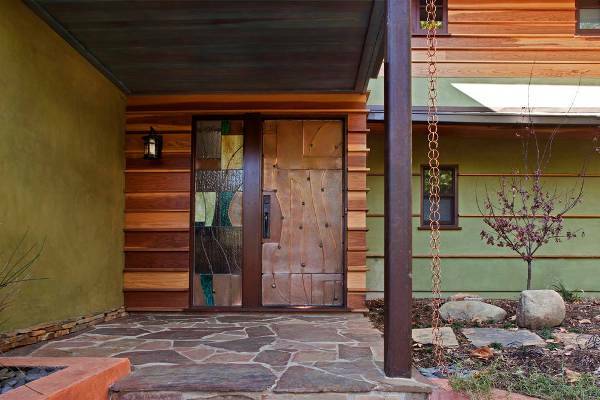 When it comes to contemporary front doors, less is more. 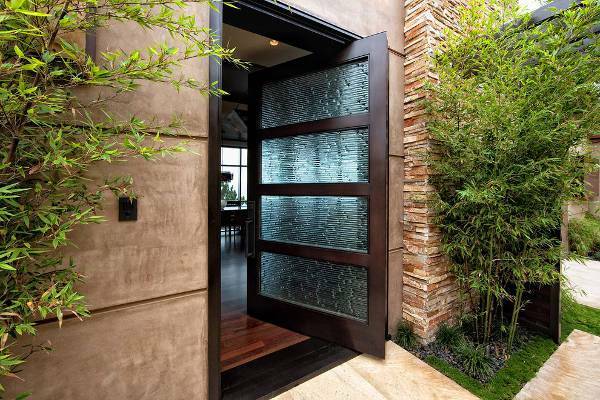 These door features sleek patterns in solid colors and tends to incorporate odd shapes. When remodeling your house, you can get the contemporary style by mixing and matching styles from different eras. Metal front door designs mosty use steel as it is inexpensive, offers solidity and require less maintenance. They come in different sizes and unique hues that will match both your exterior and interior décor. These designs are preferred for their strength and energy efficient properties. If you love country themes, then farmhouse front doors are for you. 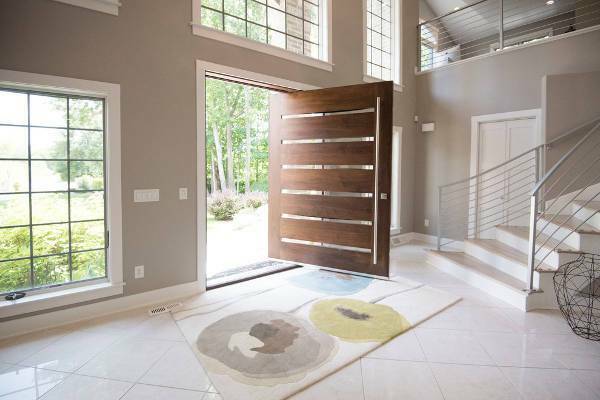 Neutral shades are attractive with these door designs and often use wood and metal materials. 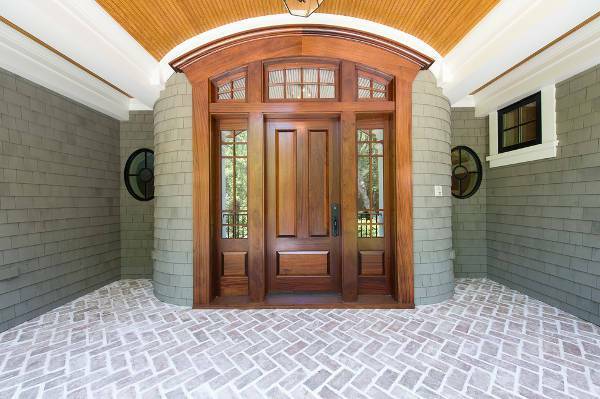 Wood is especially a favorite for front door farmhouse, and you can choose from pine, oak to walnut. 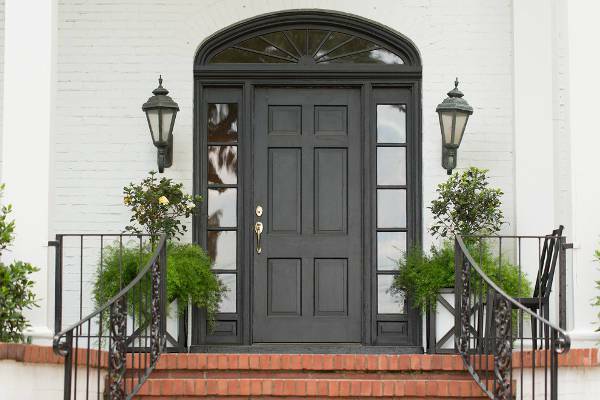 Buying antique front doors will help you acquire one of a kind design at an affordable price. When selecting wood ensure it is free from rot and choose from a recognized sellers so as to ensure the value of your door remains high even after years of usage. Commercial front doors are ideal when security and saving energy are your primary concern in your business. 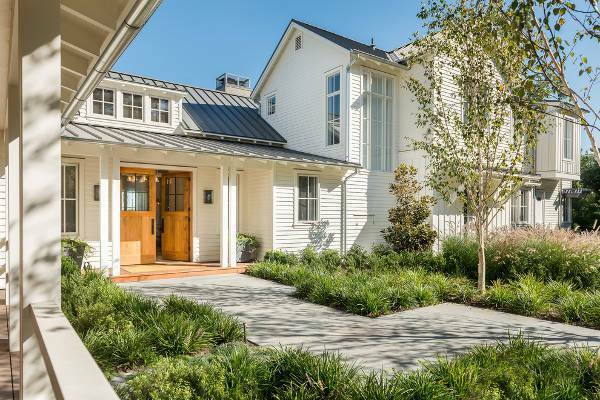 Steel, aluminum and wood are popular choices for these doors. Business owners who need to replace their front door should go for a front door that complements their interior style. Doors are focal points to a house hence your luxury door should be weather resistant as well provide adequate security. 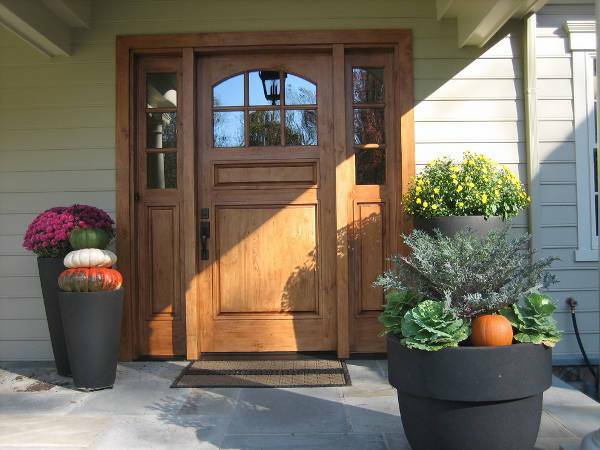 For an edgy design, contrast the design of your front door with the exterior surrounding. 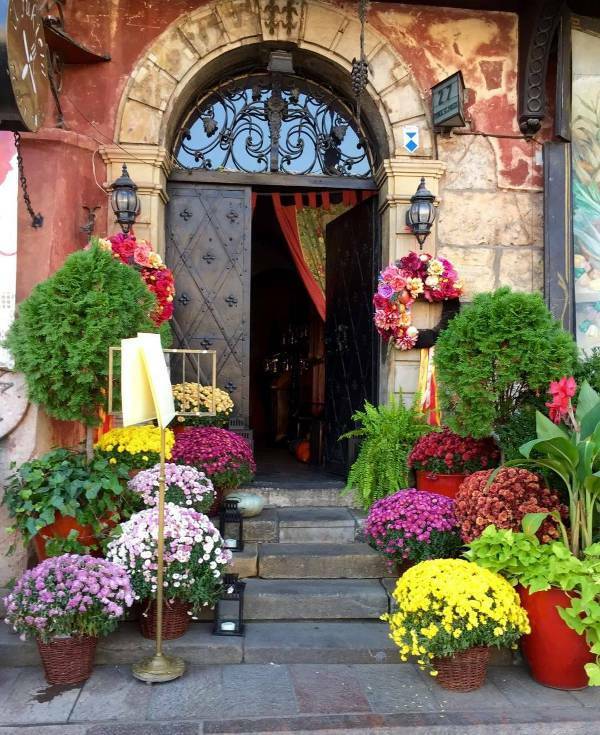 Put more focus on your home by choosing colorful front doors. When purchasing these doors, look for a color that complements your living room décor. Go for warm colors like yellow which depicts a happy environment, red which adds life or green to blend with the natural landscape. 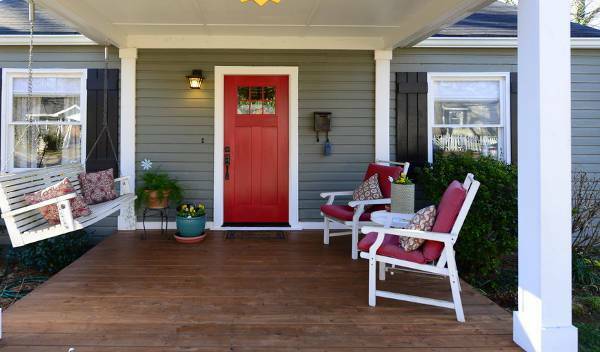 Draw all eyes towards your house by choosing to remodel with cottage front doors. A high contrast scheme will ensure that your front door is the prominent outdoor feature. You can even add an anchor knocker to emphasize the cottage appeal. Stained front doors will not only add a decorative effect to your home but also ensure your door is resistant to harsh weather conditions. Restaurant front doors allow quick movement of traffic for customers and staff. Available in embossed wood texture and smooth surface, your doors can be stained or painted to meet your preference. How the Door Designs Important for Homes? Just as you would ensure the interior décor expresses your style, the right door design should be attractive in a way that will make your home welcoming. 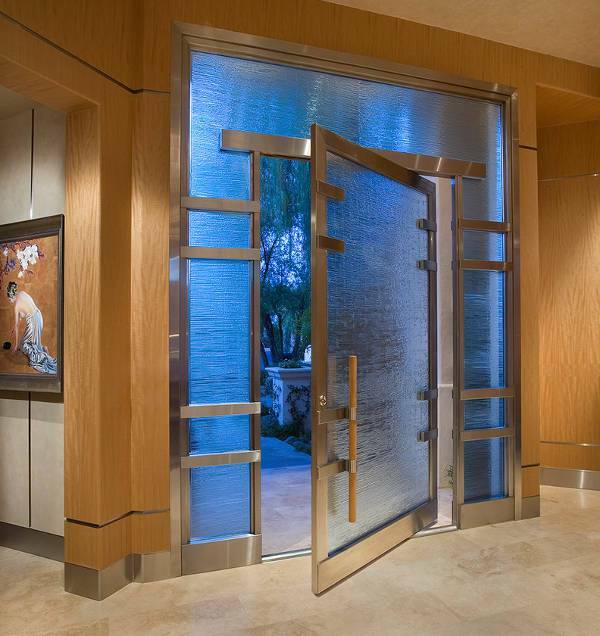 These doors will highlight your personality and project a sense of security. A front door that looks fragile can be inviting to the wrong people like intruders or burglars who can cause loss of valuable property. 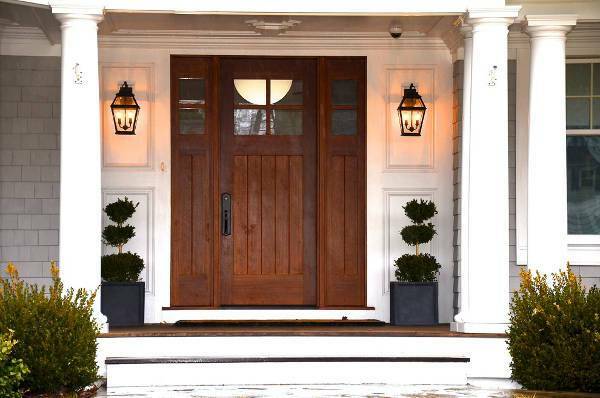 A good front door will increase the appeal of buyers and add selling value. 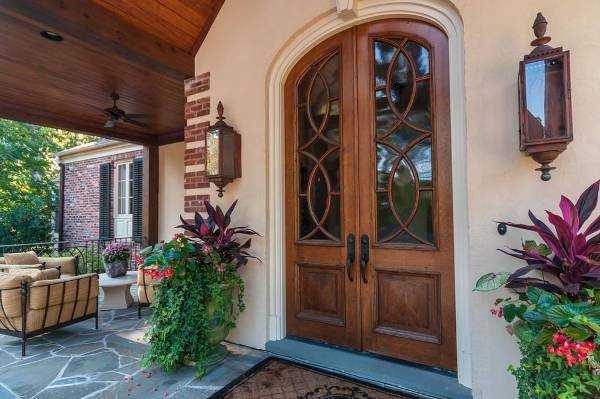 Front doors give outsiders a glimpse of the owner’s personality. They can complement the rest of the neighborhood or stand out to highlight an individual’s style. 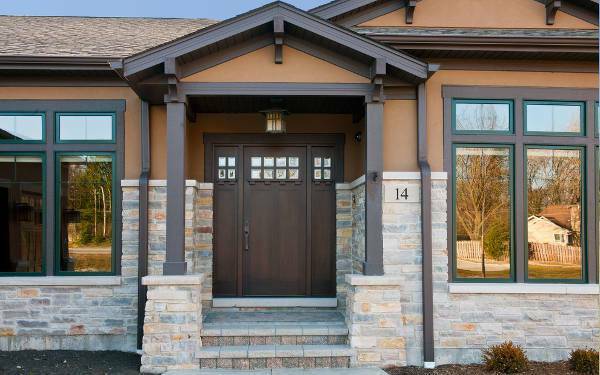 With vast designs available to-date you should choose a front door that is practical, inviting, durable and increases your home value in case you decide to sell.